There are variations of this item. Please select one. 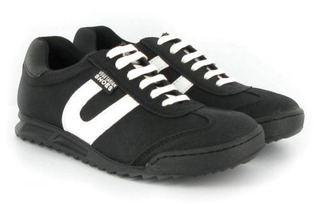 The X Trainer is a lightweight and instantly comfortable vegan shoe with padded collars, tongues and insoles, there's very little or no 'wearing-in' needed. The sole/toe bumper is stitched to uppers for more durability. 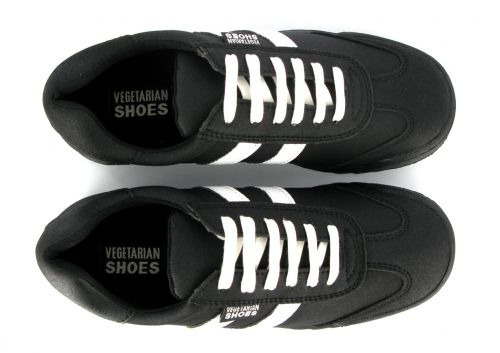 These vegan shoes are made of Vegetan Bucky, a hard wearing breathable microfibre that looks and feels amazingly like supple leather. Like all products of "Vegetarian Shoes", the Veggie Hemp Delite is not only environment-friendly, but also fairtrade! Wipe with a damp cloth to clean. Use spray-on waterproofer or dubbin. This material will darken slightly with the use of shoe care products. If the shoes feel a bit tight, remember they will stretch, just like leather shoes, across the width but not in length. So if your toes touch the tip of the shoes they're too small.